With all warnings and alerts cancelled throughout Palm Beach County, Field Operations declared an end to our Emergency Management Plan and a resumption of normal operating conditions for Boca Raton, Delray Beach and Boynton Beach Florida at 5:00 PM Friday, October 7, 2016. 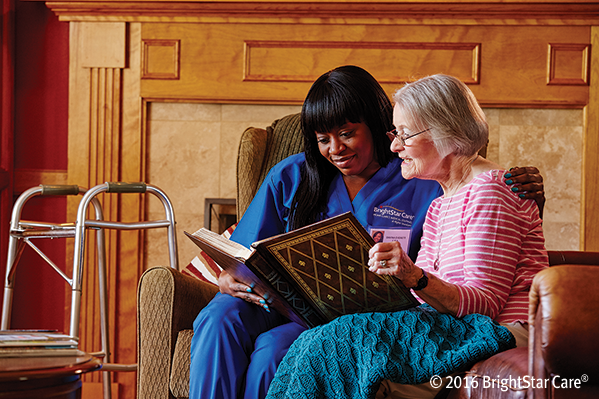 During the emergency we remained fully staffed for all client shifts and offered extended overnight service to our Senior Home Care patients who would otherwise be alone. We remained in touch with patient families, many of whom were in other States, unable to travel to be with their loved ones. “Dad was thrilled to have his regular caregiver (name omitted) with him during the storm, it was a great experience”. Comments like these made this experience rewarding to our entire care team. We are pleased to announce that our preliminary field analysis reveals no material incidents with either our patients or caregivers during the emergency. Other findings from the caregiver staff preliminarily suggest that our “BrightStar Connections” Alzheimer’s and dementia training and certification, may have had a collateral benefit across the board in dealing with anxiety in unfamiliar and stressful situations. Our expanded field operations team noted several comments from caregivers that indicate our Alzheimer’s training may have heightened awareness of stress and anxiety, and helped them to keep our overall Senior Care population comfortable and calm. We have a lot of data to digest from this real-time event, but the positive initial feedback and lack of negative outcomes suggest that BrightStar Care truly provided “A Higher Standard of Care” for Seniors in their homes in Palm Beach County. We are proud to be selected the Best of Home Care Provider of Choice and even more proud to prove it under the worst that Mother nature could send our way. A huge thank you to our exceptional caregivers, truly dedicated staff and our wonderful clients in Boca Raton, Delray Beach and Boynton Beach, Florida.